GitLab is an open source code repository and collaborative development platform. It is developed on the basis of Git version control system. 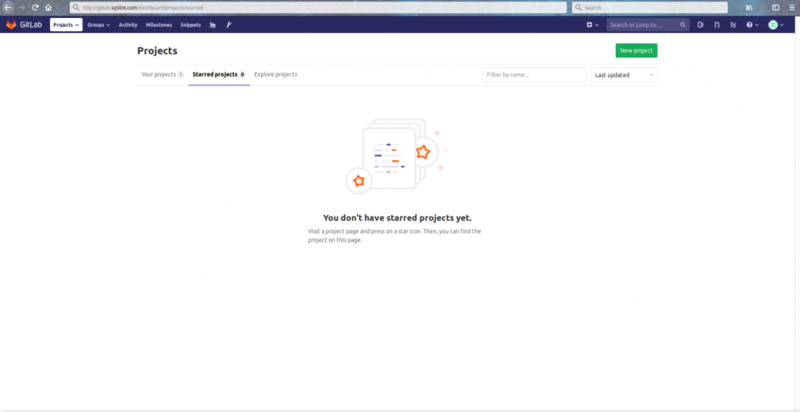 GitLab is one of the best web platforms for hosting project source codes. It exists in two forms. The first one is SAAS – website with open registration, and the second one is an individual solution GitLab Community Edition. They both can be perfectly customized to any service. Now, install the GitLab-CE package using following command and change the URL at which you want to access your GitLab instance from a web browser. You can also change the URL under the main configuration /etc/gitlab/gitlab.rb in the external_url section but make sure to “gitlab-ctl reconfigure” inorder to apply the recent changes. Now, you can access your gitlab instance using your respective URL and reset the password in it. Then, you can access the Gitlab admin page using the username root. A successful login should take you into the admin user account as shown in the screenshot. From, here, you can create an object, create a group, add people or configure your gitlab instance as you wish. In this article, we have explained how to install and configure a Gitlab-CE on CentOS 7 or RHEL 7 Linux distributions. If you have any queries or need assistance you can contact us.